The explanation is not an easy one to give, as it can get rather involved attempting to explain the aspects of natural talent, education, taste, music theory, ear training, psychological factors, memory retention, logic, reasoning, musical environment and in certain cases, spirituality, respectively. It can make for a long explanation, so bearing that in mind, I’m going to attempt to expound the technique that I have come to utilize myself. This is, by any means, the gospel of improvisation, since all musicians are uniquely individual, and their talents vary from one degree to another. 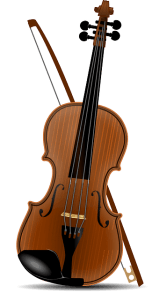 The goal of this article is more to give an outline and general understanding of how one can learn the art of improvisation, on not only the violin, but also any musical instrument, including the voice. For the sake of continuity in this article, I shall concentrate mainly on violin improvisation. Certain key factors are necessary for the execution of a proper improvisational technique, but it’s would seem, in my observations and experience, that there are certain variables involved that could make it impossible for some to achieve the art of improvisation. This list could include, but is not limited to the same aspects noted above, but these differences can be both subtle and widely diverse since all of the aspects I listed in above paragraph do not exist in all cases. It is more of a lack of these aspects, than the inability of any particular artist, and therefore would be impossible to concretely list reasons why one artist can improvise and another cannot. It delves into the realms of human psychology, of which is as diverse in its theories, as the individual themselves. I have encountered some violinists whom are at an absolute loss at the concept of improvisation. I find this is more prevalent in orchestral players than it is in soloists. Their teachers, condition classical trained musicians, not to wander outside the written music. Of course, this is not always the case, as players of Baroque, and even some early Classical works, are expected to improvise, within the bounds of good taste, to some degree. Most all of the Baroque composers were very avid improvisers on their chosen instrument. One prime example that immediately comes to mind is how J.S. Bach was noted as having a great ability for improvising upon the organ, which I suspect he learned from Buxtehude, whose works he admired studied extensively. The farthest limit I personally was able to practice the art of improvisation was when performed some of the Mozart Violin Concertos (No. 3 in G major, K. 216 (Strasbourg), No. 4 in D major, K. 218, No. 5 in A major, K. 219 “Turkish”). Of course, I was faithful to the written music, which is to be expected in Mozart, but improvised the cadenzas from my simple sketches of the main themes, staying within the style required. Anyone can perform the standardised cadenzas that are universally commonplace, but it takes a certain type of artist to be able to compose, sometimes on the spot, their own cadenzas. This practice would not have been unknown of in Mozart’s day, and I was prepared to prove this to any critic that might condemn it as “musical heresy”. 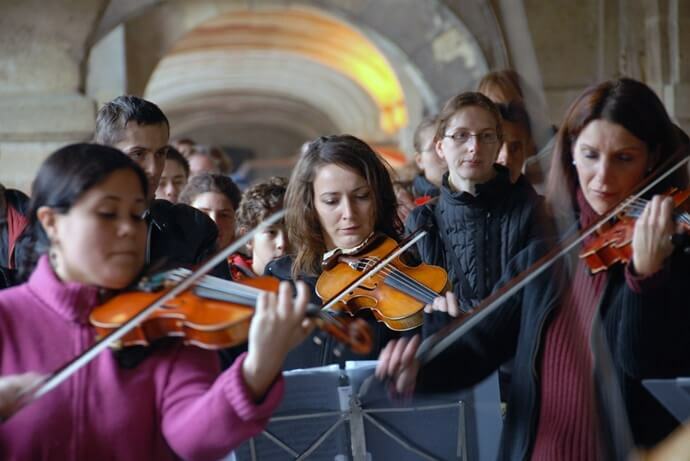 That was quite awhile ago, around 1981, in High School, and one must bear in mind authentic music practices were only beginning to be embraced by some, both teachers and students alike. To be aware of historically correct practices, I learned the ability to improvise by studying many historical and modern commentaries on the subject, particularly the research work of Arnold Dolmetsch. Later, in college, I had to go through 4 violin professors until I found on who understood what I was talking about, and he was a viola professor. Some may consider this demanding, but considering the money they were being paid, I had to be rather insistent by necessity. That was in 1984, and I imagine now it would be much more expensive. You don’t always get what you pay for when it comes to higher education and that’s when the university library becomes your best resource, and in some instances, are powerful weapons for proving an academic point. Paganini may have been one of the last great violinists who practiced this art, often with mixed reviews. He was incredibly secretive, almost to the point of obsession, when it came to his works, particularly his violin concerti. The orchestra would only see their parts at the time that he was to give the concert and he never produced a solo part until he played the piece in concert. During rehearsals, if the orchestra were lucky to have one, he would work through the problematic parts that could crop up, but very sparingly played into the whole work. The magic was to be saved for the performance itself, which in the end, produced miracles and made the ladies swoon and the gentlemen jealous. Contemporary accounts claimed Paganini would never play the same way twice in any given performance. He was a genius at self-promotion and gladly allowed rumours of how he acquired his powers of sorcery by making a pact with the devil. But all myths aside, he was a predecessor of how many Jazz artists (and countless other popular music genre artists) perform in “jam” sessions today. It was not an uncommon thing for artists to do this up until about 1850. After that, it was unheard of, as the composers were now writing very concrete works for larger orchestras. This musical evolution required that all musical interpretations be executed as the composer had written. No exceptions to this rule were tolerated in the classical music community, and classical musicians considered it vulgar to do so. That attitude is still prevalent today, but seems to be waning in more progressive circles of classical music, particularly those that perform modern works, where the composer abandons all accepted theory practices. The modern composer, classical musicians and popular artists, respectively, have at their disposal a powerful ally: the ability to record, by electronic means, the performance of a work, thus preserving its interpretation(s) for future generations. A concert violinist of the past had to interpret the given composition at his or her own peril, hopefully guided by the composer personally or under the direction of a good instructor. Unfortunately, this guidance has not always been a luxury for all artists in the past, but the advent of recording was the beginning of a whole new era in how we “listen” to both music itself and how we interpret it as both artists and patrons of the arts, respectively. Since then, artists have been able to hear the work, at their own convenience, and go from there, but this particular method of interpretation is too broad to go into detail given the scope of this article. It was not until the advent of the popular song, which evolved from a long, literally ancient, history of folk ballads, broadside ballads and rather backwoods musical practices rich in oral tradition, that improvisational techniques were accepted. This pertains to a worldwide scope, and the elements are usually the same. It entails the relation, or telling, of a story that is either tragic or comedic, sometimes both combined which usually, but not always, has a moral theme. The oral tradition is particularly venerable to personal interpretations as well as improvisation, which make it unique for each generation. One learns, hopefully, by what was done in the past, and musically speaking, there is nothing “new” under the sun. All art is relative to what has been and fosters in change, albeit both good and bad, since art is a mirror reflection of society as a whole. This metaphorical mirror does not become mucky or distorted only the ideals of production. A true artist must accept these changes as fact and either adjust accordingly or be a specialist in a particular field. Both disciplines are contributing to the survival of the art, no matter what popular opinion holds. Even musical “fads” which have cropped up from time to time, will in some distant time, be looked upon with either praise or condemnation. It is impossible to predict. This is the primary requirement of improvising well. It is an observation of mine that I have long noted that there are those who can and those who cannot, respectively. Possessing natural talent only makes all of the points below, easier to achieve without a large amount of studying technical works. This does not mean that the musician with natural talent should abandon the opportunity to learn all they can, although in doing so, could invariably alter the natural style of one who has never been exposed to ideas other than their natural environment. Over education can take away from the purity of the improvisation and cultural factors should also be considered in these cases. I consider this type of performer as having “virgin ears” and their interpretations are impeccable and truly “authentic” in both execution and style. 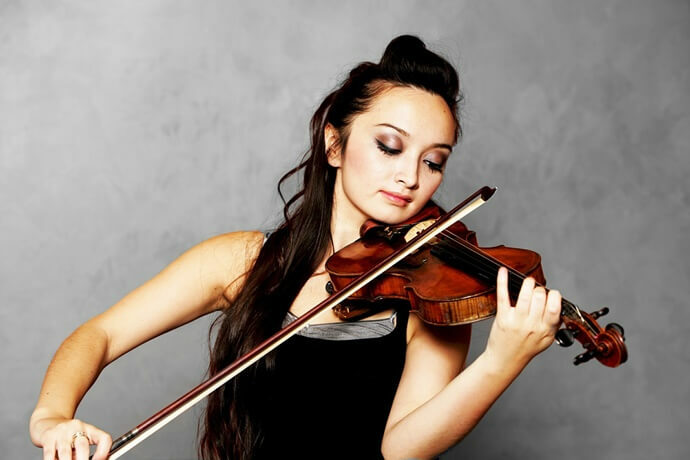 An example is a violinist who performs a certain work from a certain country, and is a native of that country. The logical outcome is that this artist would naturally possess a deeper understanding of the style of the piece, naturally and by familiarity of the culture, than one whom is not from that particular country. 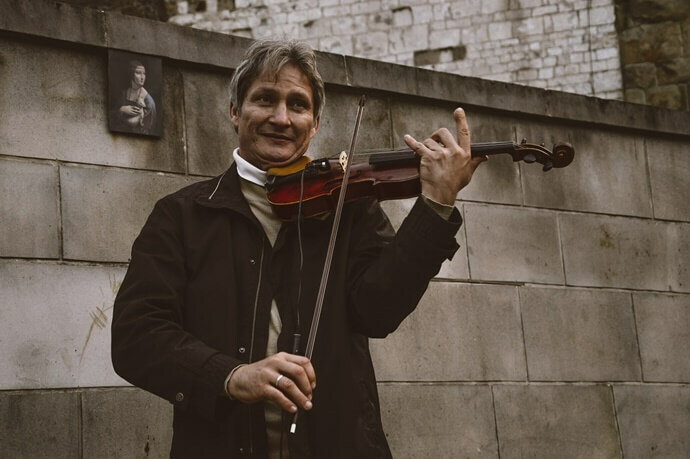 Another good example would be the manner in which a traditional fiddle player (once again, from any culture) would interpret a particular tune, whereas a fiddler only 50 miles away in any direction, may play it slightly differently. The aspect of improvising comes into play as the two fiddlers produce their tune in slightly different manners, although they may or may not be conscience of any actions entailing improvisation. The well-rounded musician, given the proper educational resources, can be seen immediately as at both an advantage and disadvantage. This aspect could make the musician either better at improve or incapable of it. It is possibly the overeducating of many musicians may be responsible, or at least contribute to the inability to improvise, as it is taught to them, by some instructors who seem to think it there moral duty, not to waver form the written page. This is unfortunate, as it stifles the student from creative thinking and can ultimately place them, if they do not free themselves with a certain period of time, in the danger of permanently placing them in orchestral sections, with no hope of release. I do not mean to undermine the work of the orchestral musician, but considering the artistic aspects of such a position, they are limited in an art in which they should be free to branch out into other avenues of their interest. To break this monotony, some orchestral players are also often involved with other musical activities (string quartets/quintets, piano trios, various chamber ensembles, and teaching) but these activities are usually limited to performing what is written on the page, and involved sparingly in being able to utilize improvisational techniques, if any at all. Solo concert violinists are the sole exception to this predicament, but are still limited as to what they can do to a certain piece of music. These restrictions are necessary in order not only to keep order, but also to present the work, or works being interpreted in a very high quality manner. A good understanding of musical theory can allow the musician to understand, within the rules of theory, the finer details of improvising. Obviously this is not a hard rule, as traditional music theory is often abandoned in ultra-modern works to the point of “anything goes”. But the general understanding is necessary for good improvisations. One only has to understand the Circle of Fifths, Key Signatures, Intervals and their relative placements, etc. The considerations of theory are normally not even conscientiously undertaken, and in some instances of a classically untrained musician, but are present only by common sense. Music theory is just what is says it is… Theory. 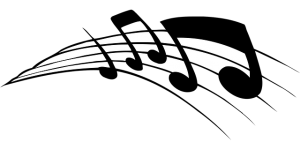 Very few composers would ever think of the aspects of detailed musical analysis while the are composing a piece of music, unless they are trying to make some esoteric or cryptic musical point. They will consider what key is viable, what effect they wish to achieve, or what they are trying to say with sound (dynamics and expression markings), and might even take into consideration their audience,if they are under a commission, but beyond that, the creative process runs the show. The final production becomes open to individual acceptance or rejection, largely depending on the tastes of the day. That is why they are called composers and not arrangers, although one could sometimes be both. All composers are arrangers, but not all arrangers are composers. It is a matter of getting ideas in the order that the composer wishes. The final outcome should be a logical progression of notes, chords and rhythms, but this is not a hard rule, as some modern composers have proven. That is a task for musicologists and theorist for analytical purposes. Most composers are just too busy for that kind of analysis. Of course the aspects of various forms (Sonates, Concertos, Fugues and Canons, Chaccones etc.) are very helpful in the art of improvisation and essential for establishing a composer’s idea into real music. But in a modern sense, modern composers and some popular music artists evolve these ideals, often to extreme degrees. In a nutshell, a good sense of what has been done musically, throughout history, makes for a very fine improviser. One can only learn from the past, and with that knowledge, can create a unique style all their own. Your average audience is ignorant of historical musical techniques and to execute them either while interpreting a written work or improvising outright, sets the aware performer above many of their peers. It goes without saying that most good improvisers make fine composers and vice versa. In ear training, I would hasten to add that it is really a good understanding of both Intervals and Pitch. The former is possibly the most important to know first, as the latter will either naturally form in prolonged practice. Since the ear is connected to the brain, ultimately, by trial and error, it will recognize what works and what will not. Keys become relative at this level of improvisation. It helps to know that there are 3 sharps in A major, but our modern standard pitch of a’=440 was not always the case. In the Baroque period it was abouta=415, but could be higher or lower depending on where one was located. It only became standard through slow evolution and finally settled at a=440 in the late 19th century. This was due to many factors, but largely due to the growth of large orchestras. Let me try to explain: The circle of 5th’s is like a clock. When it comes to intervals they are always the same distance apart, like each individual minute, ultimately making up an hour starting from 12 o’clock and ending at 1 o’clock. The minute intervals are equal to any hour one may start. So even if the pitch is a’=440, a’=468 or a’415, the distance between the notes in the scale of any key are not affected or altered. Set the clock on its side, and place 9 o’clock where it is on top, where 12 o’clock formerly was, there will still be 60 minutes elapsed if you started at 9 o’clock and ended at 10 o’clock. It is the best example I know of when I explain both the Circle of 5th’s and relative interval pitch to my students. Usually an auditory example is much better and conveys a better understanding, thus teaching by example. The history of musical pitch is beyond the scope of this commentary, but I always encourage one who is interested in improvisation to study the evolution of musical pitch, which can be a fascinating subject of study in and of itself. It can certainly change one’s outlook about what is considered “standard”. I need not go too far into why good taste is preferred over bad taste. Common sense in both interpretation and improvisation is essential. Throw in good taste in execution and production and you have art. Only in very specialized circumstances should bad taste be practiced, which realistically has to exist somewhere in the field. It is primarily employed to get a laugh out of your audience, but not to offend anyone or any culture. An artist that continually allows bad taste to prevail in their art soon finds themselves either doing a great amount of unaccompanied work or no work at all. But art in general is deaf, dumb and blind, as well as fickle, and if it is going to remain a mirror of society, then the good must logically co-exist with the bad. Good taste is not so much learned as it is inherited. It is the responsibility of an artist to maintain good taste, if not for art’s sake, than for their own duty as a single representative of the human race in general. Certain mindsets and some psychological anomalies can make the improvising artist truly one of a kind. There are many instances that come to mind: the demanding personality of Bach, the obsessive-compulsive disorders of Mozart (he was noted for an intense obsession for fastidious dress and personal appearance). Other examples include certain anti-social attitudes and anger management problems of Beethoven, the eccentricities of Paganini, the severe depression of Verdi and the list goes on. Very few great artists will claim that the do not suffer for their art, and that perfection really is not attainable. These factors shaped the way that they wrote, often to a world that didn’t understand their music, and could really care less. Money, in the final equation, was the bottom line, be it artist or agent, prima donna or impresario, when it comes to the production of art. Cease selling tickets and you cease to work. This can be psychologically devastating to any artist, and has ended in tragedy for more than a few. It is as true today as it was then, but of course, there are some exceptions to this rule. The suffering artist is more apt to be able to convey there art to the audience more genuinely than those musicians who are merely “going through the motions”. This latter position of attitude can often be more painful, both to artist and audience alike, than any form of depression, anxiety or mental illness in existence, either real or imagined. Being a victim of severe depression or any mental illness, at that, is not something that you want to hear about your personal physician, or one’s financial accountant, but it seem acceptable, almost to the point of idealistic romanticism, for a performing artist to be in constant suffering. In relation to the art of improvisation, to experience either depression or elation is a blessing in disguise. Mix real talent with these emotions and you have an artist that demands not only a good listening to, but is doing that which truly artistic. The outcome of tragic circumstances is often one of creativity, sometimes to the point of genius. A talented improvisational artist is able to tap into and utilize both good and bad emotions. This is something that music teachers will never be able to teach their students, as those lessons are only learned by living life itself. To improvise well, one must have good memory retention. It is a process of trial and error that ultimately will bring forth a fine performance. This must be achieved not in a matter of hours, with great thought and planning, but in split-seconds. To do otherwise, one may as well have written the work down, thus eradicating the whole idea and purpose of artistic improvisational production. Good memory doesn’t mean that one has to possess a photographic mind. It is well enough that the artist simply remembers “key elements”, especially the points made about general music theory and history. At that junction, creativity takes over and true art is produced. In relation to most of the above points, I do not need to go into too much detail on the essential role that logical reasoning plays in the art of improvisation. It is pure common sense that will be the vehicle that will deliver a good improvisational performance. One can easily speak a particular language only if those who speak a like language surround them. So it is true for the improvisational artist, as well. The elements of cultural environment are a great factor that shapes the style and execution of musical improvisation. 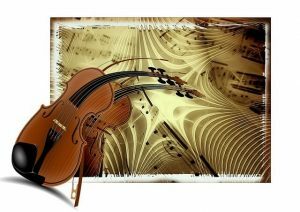 A general study of Folk Music would be recommended for anyone who wishes to understand this common phenomenon more in detail. But reading about it is not enough. One must actually hear it. It is impossible to be something one is not, and this factor is what gives authenticity to the improvisational artist. It is inevitable that the artist will retain certain cultural aspects in their performance techniques, no matter how hard they try not to personally, or attempt to hide it from the public’s discriminating ears. The art of improvisation tends to transcend the artists themselves. The spiritually aware artist does not recognize their ability to improvise as being something of their own creation, but emanates from something higher than themselves and their own human understanding. It can manifest in many different ways, either as a profoundness of holy sadness or one of blessed intense joy and is accepted, without question, by the artist. It is the ultimate divine connection that, when it is achieved during performance, is something that leaves the audience holding their breath in holy anticipation, collectively. It is the true culmination of real art, since in some respects, the artist has achieved in creating, and not by their own merits, something intangible and it is akin to a fleeting glimpse of Paradise Itself, or possibly, a thought of God.